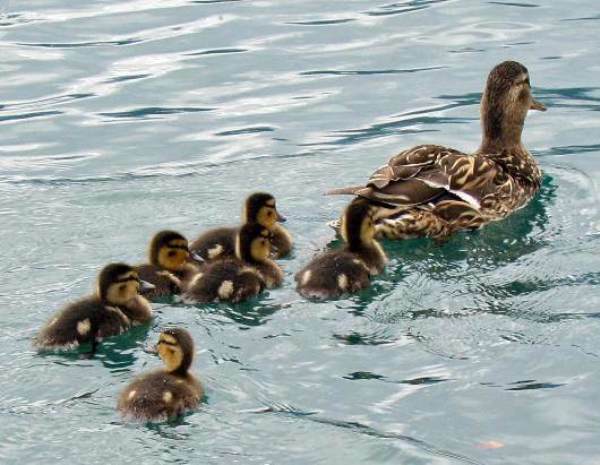 Mallard Ducks - they are also called simply Wild Ducks - are found in rivers, lakes, estuaries and salt marshes. Occasionally you may find them on the sea shore, too. They feed on insects, worms, slugs, snails, frogs and various kinds of shellfish, as well as grasses and other bank-side vegetation. Mallard Ducks remain in Britain all through the year. 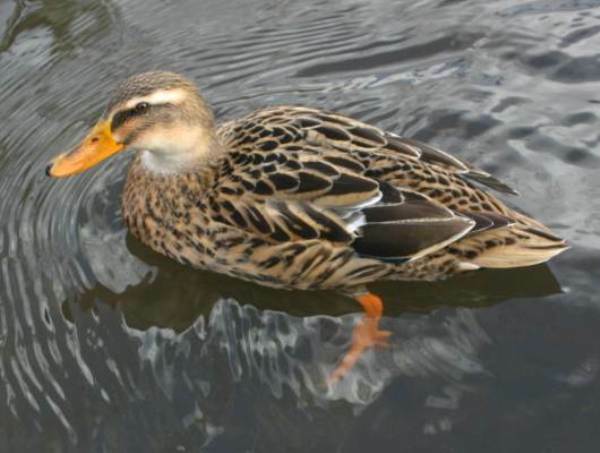 The female Mallard duck is mottled brown all over. 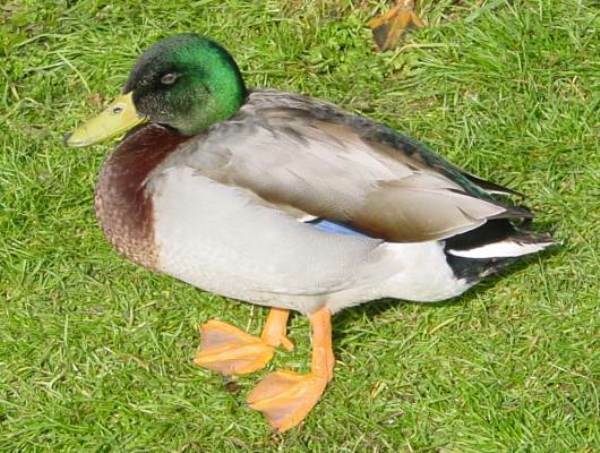 Mallards usually nest on the ground, often in dense undergrowth beside lakes and streams. They will also nest in holes in trees, sometimes well above ground level. Between March and May the female lays between eight and fourteen eggs in a nest of grass and sedge lined with fine down. Having camouflaged plumage, the female does all the incubation and looking after the young ducklings.